If you are a bruxer or a grinder, have chipped teeth or had porcelain crowns chipped, and wanted to hava an esthetic crown that wouldn't chip, we have great news for you. Thanks to constant improvements in dental material and technology, we are excited to introduce BruxZir Solid Zirconia to our patients. 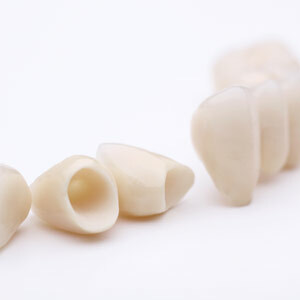 BruxZir solid Zirconia is indicated for crowns, bridges, implants, inlays and onlays, and made from the highest quality zirconia from Japan.